Cappadocia is a landscape located in Central Anatolia in Turkey. This territory covers several provinces. 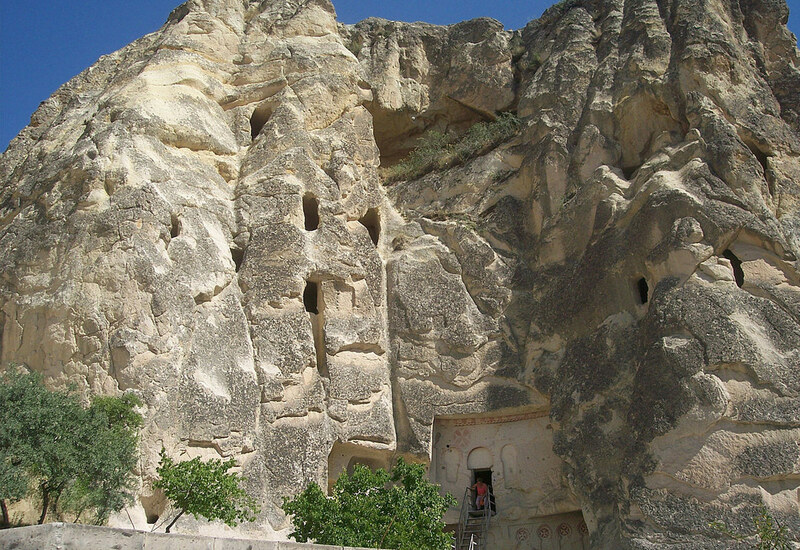 The place Göreme is regarded as especially famous. It is the centre of the national park Göreme and considered a UNESCO world heritage site since 1985. The specific characteristic of the landscape around Göreme is that it is shaped by tuff formations. Eruptions and watercourses have formed this cave architecture over a period of several million years.